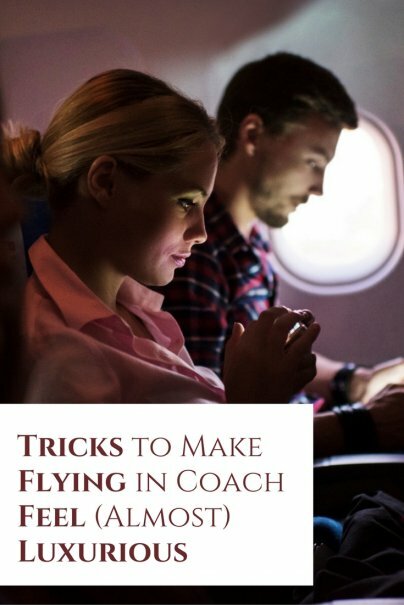 Are you uncomfortable while flying? Cramped? Crowded? Well try this on for size: airplane seats are shrinking even more. In the 1990s, the average airplane seat was 18.5 inches wide. Today, they're 16.5 inches wide. And while seats are getting smaller, passengers are getting bigger! In the 1960s, average females weighed 140 pounds and males weighed 166 pounds. Today, average females weigh 166 pounds and males weigh 196 pounds. Whew! That's a tight squeeze. Unless you're flying first class, your airplane seat isn't going to be comfortable. But there are a few key factors in picking the right seat for you. Window seats give you the benefit of looking out the window and controlling the window shade, but are difficult to get into and out of. Aisle seats give you the option of extending your leg into the aisle (when a cart is not present) and the ease of moving about the cabin, but don't have a view. Avoid seats near the restrooms and towards the rear of the airplane, as you'll be on it longer and near a lot of foot traffic. Always try to select your seat when booking your flight. Finally, a site like SeatGuru can help you spot other roomier seats on any given flight, such as those behind bulkheads or in odd configurations (for example, the last two rows of many 747s have only two seats, rather than three). Forget looking like a jet-setter, and focus on being comfortable. Wear stretchy, layered, and loose-fitting clothes. When selecting your footwear, consider shoes that can easily slip on and off for getting through security and while on the flight. A warm pair of socks will help with the temperature changes in the cabin. Some airplanes have electronic plugs in case your battery doesn't hold a charge for a long time. Ask the check-in assistant if the airplane has plugs and if you can sit in a location where they're available. There's nothing worse than getting a tickle in your throat and not having water. Always have a full bottle of water. You can either buy a bottle after getting through security OR carry an empty water bottle through security and fill it up after. And more airports are providing filtered water systems for people to fill up their own bottles. If your eyes and lips are sensitive to the cabin pressure and temperature changes, bring eye drops and Chapstick. To help prevent Deep Vein Thrombosis — a serious condition in which blood clots form in the deep veins — stretch and move around periodically during the flight. According to the Federal Aviation Administration, "Increasing leg muscle activity during long periods of sitting improves blood flow in the legs. This may include walking around the cabin or exercising your lower legs and ankles while seated." So even if airplane seats are shrinking and we're growing, by following these seven tips you can survive the small seats and long flights comfortably. How do you stay comfortable on long flights? Please tell us in comments! We've found it's all about making the best of an uncomfortable situation. We usually each get an aisle, dress comfortably, have some snacks and have our Kindles, iPads and iPods charged. We also never fly without earplugs. This combination usually helps.